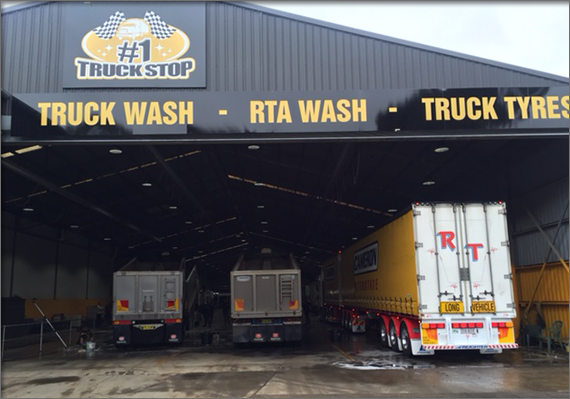 #1 Truck Stop is a one stop shop and is located in Yanora, NSW and operates a full service Truck Wash & Tyre service that is easily accessible for even the biggest rigs. Our truck wash, mobile truck wash, tyre and upholstery service has been in operation for seven years and prides itself on consistently delivering high quality service and products. The results are superb as we offer the most advanced chemicals available. Copyright 2016 #1 Truck Stop - All Rights Reserved.